If you’ve got a problem with a blocked drain, call Blocked Drain Manchester. Our team of reliable, professional drain engineers work around the clock to bring you the very best service for the best prices. Blocked Drain Manchester operate without a break, and will always be with you as quickly as possible for drain unblocking in Manchester! We operate 24/7, 365 days a year! Got a blocked drain Manchester? Call 0161 222 5953 to unblock your drains NOW! All our technicians are fully trained in drain unblocking in Manchester, meaning that we’ll always be able to solve your drain problem, no matter what. Whether it’s a drain that’s blocked on a bank holiday, or even on Christmas, you can be sure that we’ll be able to unblock your drain in Manchester quickly and easily. We offer manual rodding and hydro jetting, and have a loyal customer base in Manchester already. Why not join them? Blocked drain Manchester are here for you whenever you need us to be. Blocked drain Manchester are a 24/7 365 day a year fast response, no fuss, no mess drains service with all the tools and experience to make sure any blockage or drainage issue that you might be suffering from quickly and professionally. Blocked Drain Manchester are always around and our trained office advisors are always available to provide information on the services we offer and answer any questions you might have about those services, the cost of those services and our availability to provide those services. Blocked Drain Manchester aren’t going to ask for an arm and a leg when it comes to payment and our already competitive prices are made even more so by the fact we don’t charge call out charges and we never charge VAT n any of our products and services. This way you know you’re getting the most out of your money when you come to blocked drain Manchester. With blocked drain Manchester you won’t be waiting months on end to get a drains specialist to take a look at your drains, blocked drain Manchester are here to lend a helping hand with any blockages or drains repairs you might have with us with lightning speed and unparalleled professionalism. Blocked Drain Manchester are here for if and when you need us, when you call us up you won’t be greeted by pushy sales people trying to get you to buy parts and services you really don’t need. We operate differently only employing trained advisors to provide the information and let a now informed customer make the decision. Blocked Drain Manchester won’t charge you a call out fee and we never charge VAT no matter what services we provide for you. Just the labour and parts where applicable and we’ll be on our way to help you out. Call today and speak to a professional drains business like blocked drain Manchester today! Here at blocked drain Manchester we’re all about speed, professionalism, and providing comprehensive drain cover for the whole of the Manchester and surrounding areas 24/7 365 days a year. Our dedicated blocked drain Manchester specialists are always on hand and can be with you in no time at all. With over 20 years experience and all the skills to make any blockage a thing of the past, today. Blocked drain Manchester are here even if you need a specific time to suit your schedule. We concentrate on making our service easy to use and as convenient as possible. Your local, friendly, no mess no fuss drains service any time any place in the Manchester or surrounding areas. Call now and speak to one of our trained advisors today and we’ll point you in the direction of the most cost effective solution to any drain problem you may be experiencing. Speak to the professionals today! Got a blocked drain in Manchester? We’re available all days of the year, including national holidays. This means that you never need to worry about your drain getting worse, or even flooding. We’re always available to help! We are able to help you and unblock your Manchester drains within 2 hours. There is always a trained adviser on the other end of the phone ready for your call, so you know that you’ll be in safe hands with us. Knowing this can significantly reduce the stress of a blockage, and we highly value the satisfaction of customers like YOU. That’s why we provide every client with the best emergency drain unblocking service for low prices within Manchester. Blocked Drain Manchester are your number one local drains business for comprehensive 24/7 drains services in and around the Manchester and surrounding ares. We can be with you right away or at a later time to suit you it’s really never been easier to get your drains unblocked or repaired in the Manchester area. Blocked Drain Manchester is a small local outfit consisting of the most dedicated drains specialists and office advisors who come together to provide a quick, easy, and competitive priced drains service for any time and any day if and when you need it. Call now and speak to one of our trained advisors who’ll guide you to a cost effective solution to any problem you might have. Or ask us about the great services we provide and we’ll tell you all the not so great problems we can fix with these services. Call now! Blocked drain Manchester ‘s fixed prices are genuinely low, so you’ll always know just how much you’re paying beforehand regardless of how long the job takes to complete, and regardless of what time of year it is. Blocked Drain Manchester have years of experience and are fully equipped with the latest technology and software to provide repairs and maintenance, as well as to clear any blockages you may have in your drains. See how good it is. 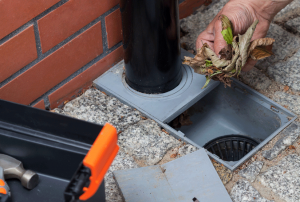 So if you’ve got a blocked drain, or need work done on your drainage systems, don’t hesitate to call Blocked Drain Manchester today and speak to a member of our team for a free quote. If you’re having problems with your drainage systems, call 0161 222 5953 Blocked Drain Manchester. Our team of specialist drain engineers work around the clock, 24 hours a day, 7 days a week so there is always someone on hand to help unblock your Manchester drains. It is important that you call Blocked Drain Manchester as soon as you notice the warning signs of a blocked drain. No job is too big or small for us, so whether you’ve got a blocked drain or need maintenance done fast, don’t hesitate to call our team. Last week Amanda called Blocked Drain Manchester when she found that a blocked drain had flooded the bathroom, and we were able to restore her drains back to normal in no time, leaving her to enjoy the rest of her day with minimal fuss. Here at blocked drain Manchester, we believe that customer service is an integral part of any company or business that wishes to stay open over a great length of time. Why do we think this? Well we think this because we’ve been doing it for 20 years and in that time we’ve see our fair share of businesses who were just out for the money start up and then collapse very quickly. So what does customer service mean to us? We’re not down with the customer service definition we’ve been sold for the past 10 years, we think customer service is more than just three pages of buzzwords and business jargon about how a business loves it’s customers. We believe customer service should be providing a service to the customer that they weren’t expecting. And that’s exactly what we try to do by going that extra mile for our customers. And we won’t just talk about our excellent customer service either, we’ll show you what we mean. we run a 24/7 365 day a year phone line that was primarily for our emergency call outs but over the years has turned into the best place to get advice and quotes from one of our lovely trained advisors. This is just one of the ways we not only talk about our customer service being excellent but actually physically prove it. Give us a call and see what we can help you with today! Here at blocked drain Manchester we know it’s not very fun to find you have a blocked drain. We think that it’s important that you can have someone to call anytime any place in Manchester and any sort of blockage, blocked drain Manchester have you covered. We cover all Manchester areas and we do it 24/7 365 days a week working tirelessly around the clock to make sure we’re as convenient as possible so you’re never stuck with a blockage you can’t get rid of. We don’t just unblock big commercial external drains, and we don’t turn our noses up at a blocked residential toilet or sink, whether it be a blocked drain or blocked pipe, internal or external, commercial or residential, you can be safe in the knowledge that blocked drain Manchester has your back for any of those occasions. Not only that but we’re reasonably priced and we’ll get to you fast in an emergency. If you wish to ask us anything about a potential job, or about the equipment or work that we use and do, don’t hesitate to call our 24/7 365 day a year phone line where one of our trained advisors will be able to guide you through your call, and if you’re in an emergency we could send someone on their way to unblock your toilet, bath, shower or drain in a matter of minutes from when you call. Blocked drain Manchester are here for your convenience. What Causes Drains To Become Blocked? Blocked drain Manchester it’s no fun and games when you get a blocked drain, surely it’d be easier to avoid if you knew what caused it? That’s why we’re going to run through the different types of drains and different causes of drain blockages in order to help you prevent a blocked drain as a pose to us coming out and unblocking it for you. There are many different types of drains and that means many types of causes for when these drains get blocked. First off let’s start with the different types of household and commercial drains that are partial to a blockage. 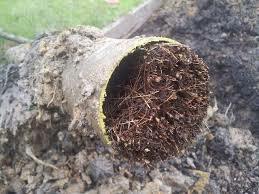 For instance an outside drain is most commonly blocked up by dead leaves but another cause could be tree roots getting into your pipes and blocking the water flow. If your blocked drain is inside it has most likely been blocked up by a build up of fats and oils that have periodically grown until the water in your drain is no longer able to pass through. Other culprits include sanitary products and other hygiene products for example ear buds. While it might be difficult to prevent a tree root or a build up of leaves, especially in the winter times. However most common household drain blockages are avoidable with just a little more care taken in regards to what you’re throwing down your sink, you could save yourself a call out and a bill from us. If you’re reading this after you’ve found your blocked drain then don’t worry we can be on hand in no time to take care of that pesky blockage and get you back to your normal routine and just remember these tips for next time and we’ll never have to see you again. Don’t delay, call our 24/7 phone line today and see what we can do for you! We’re eager to hear from you. Blocked drain Manchester believe that prevention is the best solution, which is why we always use the latest technology and the very best preventative methods to ensure that problems don’t occur again, saving you time and money. Blocked Drain Manchester have years of experience in the field and the team come highly recommended by a wealth of clients both past and present, which is why you can rely on us to provide you with the best service for the best price. We offer genuinely low fixed hourly rates with no hidden costs or call out fees, so you will always know exactly how much the job will cost no matter how long it takes to complete. Blocked drain Manchester understand that it may seem easier to try to fix the problem yourself, but more often than not this leads to additional unwanted problems. 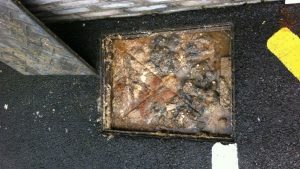 These problems can cause more damage to your blocked drain in Manchester, and are more expensive to rectify. That is why we recommend calling Blocked Drain Manchester as soon as you notice a problem. So if you need an emergency drain engineer, call Blocked Drain Manchester today to speak to one of our trained advisors for help, advice, and a free quote. 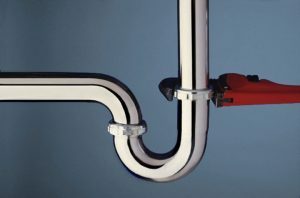 Here at Blocked Drain Manchester we know it’s hard to find the time and money to sort out those pesky plumbing problems as soon as they arise, however the best time to sort these issues out is right away as soon as you spot them, leaving them too long could cause more issues and cost you more money and time. That’s why blocked drain Manchester is open 24/7, so as soon as you’re ready to unblock that pesky drain we’ll be waiting to take your call. Our response times are fast and we really do take our work seriously. We don’t want you thinking that our prices reflect the quality of our work, as you may get the idea that we’re not the best team in Manchester for the job, well we are and while our prices are sensational, our work is nothing but professional, so if you need drains unblocking in Manchester, we’re the team to call. We’re not just you’re average plumbers, we’re drain specialists and that means blocked drains are our specialty, not only that we don’t charge call out fees. Don’t call a plumber and pay an astronomical call out charge just to find out he hasn’t got the right tools for the job, if you have a blocked drain Manchester, call us today! You’ll always be able to speak to one of our trained advisors who should be able to guide you through your call with ease and in a matter of minutes, so if you need our team we’re right here waiting for your call! Blocked Drain Manchester 24 hour service: call 0161 222 5953 for all of your emergency drainage situations. We offer high quality drain repairs for both private and commercial customers at any time of day or night. Here at blocked drain Manchester we’re not just saying it, when we say our customers come first. Other companies just say it, but we actually make an active effort to make sure our customers have the most painless time dealing with us. 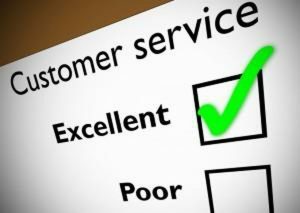 We think customer service is more than just a load of buzzwords and a three page essay on a companies website, we here at Manchester plumber think customer service is about allowing an open dialogue from business to customer and customer to business, making sure customers are never left in the dark and certainly never feel like they’re being taken advantage of. We take care of our customers, how? Well we prefer to take more of an active approach when thinking about customer service and it all starts with our 24/7 365 day a year phone line which is for any customers, potential customers, or just anyone with a question about what we do. We never make you speak to robots and we won’t put you on hold for half a day just to get through to someone who doesn’t know what they’re talking about. You’ll be put straight through to one of our trained advisors who will guide you through your call in the best way possible. Don’t believe us? Give us a call, and see what we can do for you today! Blocked Drain Manchester is a professional 24 hour emergency drainage service, here to help you with all your blocked drain situations in Manchester. Our team of drain engineers are fully equipped to tackle any problem, from blockages to repairs, from maintenance to CCTV surveys, for all your drain unblock needs. We’re also here to give advice on how you can fix your drainage issues. Don’t hesitate – call Blocked Drain Manchester today. Our highly trained team of professional, reliable drain engineers have years of experience, and come greatly recommended from clients past and present from unblocking their drains. Blocked Drain Manchester has the most up to date equipment and methods needed to unblock, repair and investigate any drainage system problem for your drains in Manchester. Blocked drain Manchester offer low fixed prices, with no hidden costs or call out fees, so you’ll always know the exact price of the Manchester drain unblocking job before we arrive, no matter how long the job takes to complete. We understand that problems with your drains can be stressful and inconvenient, which is why we work around the clock. We work 24 hours a day, 7 days a week, to give you peace of mind. 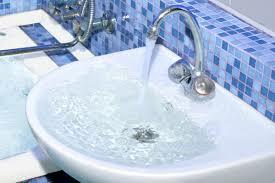 You can call day or night for all your emergency plumbing and drain problems in Manchester. Call Blocked Drain Manchester today to speak to a professional for advice and guidance on unblocking your drains in Manchester, and we’ll give you a free no obligation quote with all the information you need. No job is too big or too small for us. So call us now! And we’ll gather as much information as possible to establish the most effective solution before attending the job. Our team of engineers are equipped to handle any job quickly and efficiently, leaving you to get on with your day. Here at blocked drain Manchester over our 20 years experience we’ve seen some sights when it comes to blocked drains, form huge external drains to tiny sink and toilet blockages in residential properties, we’ve experienced it all. Something that’s always baffled us about internal bathroom drains for years, and it’s that most of the internal toilet/sink/bathroom jobs we’ve attended over the years have been somewhat preventable. That’s why we thought it’d be a good idea to shed some light on what causes a internal blockage. We know it seems like a silly business model, to tell people how they can avoid using your service. But here at blocked drain Manchester, the only thing we care about is unblocking drains, and if that means helping prevent them getting blocked in the first place then we’re glad we could lend a hand. Our years of experience have told us that the most common causes for internal drains could actually be disposed of in a different way then the homeowner could’ve avoided the blockage and thus avoided a visit from our expert team. 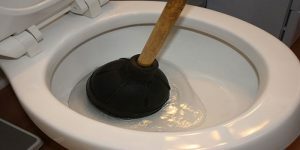 Firstly to look at preventing a blockage in your bathroom, we must look into what causes a blocked drain Manchester in your bathroom, most bathroom toilets get blocked by things like sanitary products and paper towels, for sinks the most common culprit is build ups of fats and oils from soaps and other cleanliness products. If your bathroom toilet or sink is already blocked don’t fret as blocked drain Manchester is here to help, we’ll be sure to get you going in no time. Give us a call today, we won’t make you talk to a robot, and you’ll be put straight through to one of our trained advisors who’ll help you. When Amanda came home from her shift at the hospital to find out that her toilet was badly blocked, she knew she could call Blocked Drain Manchester and rely on us to respond quickly, no matter the time. During Amanda’s initial call we obtained as much information about the job as possible in order to establish the most effective course of action, and we were able to attend to the job quickly, meaning she could rest easy knowing her blocked drain Manchester had been taken care of with the best quality attention and care. Blocked Drain Manchester uses the most up to date equipment with the best preventative methods of solution, so Amanda knew that she wasn’t going to have the same problem again, saving her time and money. For any blocked drain in Manchester, call us today so we can unblock it. Sometimes it may seem easier to try to fix the problem yourself, but more often than not this creates additional unwanted problems, which is why we recommend calling Blocked Drain Manchester for a professional drain engineer you know you can trust for high quality work. Knowing that Blocked Drain Manchester was ready and waiting any time of day or night meant Amanda didn’t have to worry and took some of the stress off her. We were able to offer Amanda guidance and help on how she could continue to take care of her drains so that she wouldn’t experience another issue like this one. All work is carried out to the highest of standards by a team of experienced and highly trained professionals. On call and readily available at short notice for when you find yourself in a Blocked Drain Manchester situation and are in need of urgent help. The team can guarantee to unblock any drain for a genuinely low price. It wasn’t too long ago that a deep-rooted problem with your drainage system would have meant high costs and extreme measures to save your property. You’d usually find drainage professionals excavating whole back gardens speculatively to try and find the drain, and then dismantling the entire network to try and discover where the blockage was. Thankfully the drain and sewerage profession has moved on considerably since then. By investing in both our staff and their equipment, your blocked drain Manchester experts are able to pass on both time and cost benefits to customers. Trenchless technology means drainage professionals in Manchester can now get to the root cause of the problem without having to dig up the area surrounding the drainage network. It also allows us to carry out repairs without having to physically access the drain itself. All our drainage experts are capable of carrying out drain lining at a time convenient for you. This trenchless method allows us to repair the drain and the pipework without having direct access to it. 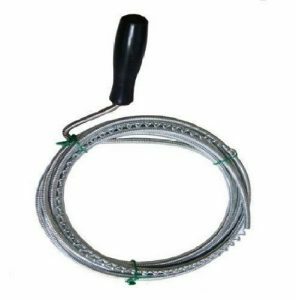 Effectively, drain lining allows us to fit a protective layer to the inside of the pipework which seals over cracks with a reinforced coating which helps to protect your drainage network against further damage. Before we carry out any drain lining, we need to ensure that your pipes are fully flushed out of all dirt and excess material that could cause a blockage. 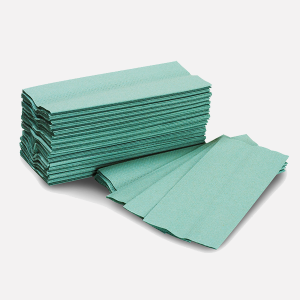 Otherwise, all we’d be doing was attaching a protective coating to your blockage! We use a high powered water jet system to clear your pipes and create an even internal surface for the protective coating to attach itself to. This is the kind of work we recommend following the removal of a large blockage. Sometimes the blockage may have caused significant damage to your drains and instead of reinstalling a brand new network of drains, we recommend trying to repair them first. If you request this service at the end of a larger job, we will always be happy to provide you with a competitive quote to fully restore the health of your drains. There are a number of reasons for encountering a Blocked Drain Manchester scenario, and the team understands how inconvenient it can be when you have a blocked toilet or a blocked kitchen sink. Resolving these issues as quickly as possible is vital to ensuring as little damage as possible is caused, and allows you to continue your day with the least amount of disruption. Blocked Drain Manchester offer a complete range of drainage services including drain cleaning, drain repairs, drain maintenance, blockages, drain installations, CCTV surveys, water advice and more. Don’t hesitate to get in touch with one of our specialists for a free quote, and to assist with the maintenance of your home’s system in Manchester. A blocked shower, sink, blocked drain, or toilet can create a variety of problems that you won’t want to deal with, and can cause an unwelcome interruption to your day. This can cause flooding inside of your home, and can even cause damage to floors or any belongings that are in the way. If you have noticed a blockage in any of these places the it is best to contact Blocked Drain Manchester and get the problem solved right away in order to prevent and further damage. Most people don’t tend to think about their drainage system until something goes wrong, so it can really help knowing you have a trusted local team readily available if you’ve got a blocked drain Manchester. 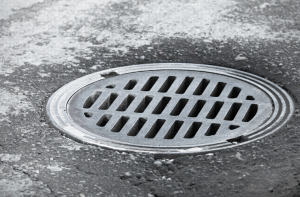 Blocked drain Manchester is well-equipped and our vans are ready for dispatch when you call, with a guaranteed call out within 2 hours to any emergency, so you can rest assured knowing your drain in Manchester will be dealt with quickly and efficiently. For all your Blocked Drain Manchester needs, don’t hesitate to get in touch. A trained adviser is on the line 24/7 and is more than happy to help and advise you on your personal drainage situation, as well as being able to give you a free quote over the phone for any drain unblocking. Most blockages are caused by our lifestyle, so simply keeping an eye on anything going into your drains can really make a difference in decreasing your risks of a Blocked Drain in Manchester. 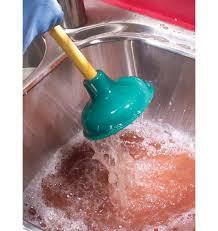 95% of blockages are caused by leftover grease and oil being poured into the kitchen sink and solidifying in the pipes. A blocked drain in Manchester can be avoided by leaving any fatty substances to cool and disposing of them in the bin rather than in the sink. Simple and easy action such as this can save you a lot of time, effort and money when it comes to household blockages in Manchester. I have a clogged toilet; help me Blocked Drain Manchester! A blocked toilet is a terrible problem to have as it often smells extremely bad, and may even result in your toilet overflowing and releasing dirty sewer water into your lovely home! Luckily, the issue team is here to help you with all toilet conundrums, whatever the reason. If you are facing an emergency, don’t worry; we can be with you FAST and act quickly to remove the cause of any problem and leave your toilet flushing freely once again. But why is your toilet clogged? Well, there are many reasons and thankfully there are many things you can do to prevent a future problem from occurring. The most likely cause is that a foreign object has been flushed down the toilet – this includes baby wipes, tampons, q-tips, tissues, or even small toys! All of these things can cause great blocked drain Manchester problems as they get stuck in your pipes, especially if the pipe gets thinner somewhere within your home. You should only ever flush toilet paper and waste down the toilet, ie, the things you expect to flush. This will help prevent a great number of blockages and should not be underestimated! There may be other problems with your toilet. If you notice that your loo has a weak flush, then it may be that it’s flapper is not properly adjusted, meaning it does not open the whole way. The flapper is the part which allows water to go from the tank into the bowl. Weak flushes also cause blockages, but you should not attempt to fix this alone – a friendly Blocked Drain Manchester engineer will be able to fix this problem without damaging your toilet, and so you should contact our team immediately. What is a Blocked Drain Manchester CCTV Survey? If you have a blockage in your home, the first action for our Blocked Drain Manchester team is to figure out where the blockage is and how we can best get to and remove it. The blockage may be inside your home, or may be in the sewerage pipes leading through your garden and off your property. If the blockage is outside then we often recommend doing a CCTV Survey, which the skilled Blocked Drain Manchester team are very good at, and helps us to locate the blockage fast and unobtrusively. We will find an outside drain, such as a storm drain, that is on your property and open this up. We then bring out our equipment, which consists of a camera on a long, flexible tube, and feed this tube into the pipes below your property. The camera lets our drain engineer look directly into the pipes without having to pull the pipes up. It also lets you see exactly what we see, so you can remain fully informed with what is going on with your home’s plumbing. When in the pipes the camera may discover a number of things. If looking for a blockage it can easily traverse the pipe system and locate this, and then the Blocked Drain Manchester engineer can decide on the best course of action o remove this. However we may also discover other useful information – for example, we will be able to see if any of your pipes are broken or damaged, possibly by corrosion. 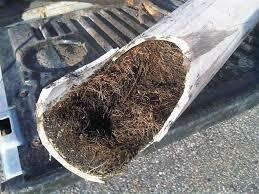 We will also be able to see if any tree roots have made their way into the pipe which causes many structural problems. Thus a CCTV survey is a very useful way of inspecting the insides of your home’s plumbing without having to rip up your garden to see. Call Blocked Drain Manchester today to unblock all your drains around Manchester FAST! 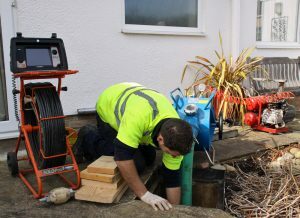 We don’t just unblock drains, our highly qualified, experienced team also offer a wide range of other services such as CCTV drain surveys and High Pressure Water Jetting. But that’s not all, we also offer our emergency call out service where we’ll be able to anyone in the blocked drain Manchester area, fast. Our rates are competitive and we’ve been in this industry for over 20 years with a wide range of experiences with every part of a drain you can imagine. 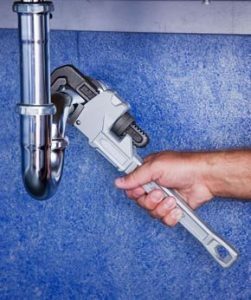 We think that regular maintenance of your pipes is essential. Cracked drains can cause massive problems like property damage through damp and also rodent infestation, that’s why we offer Sewage System repairs at a competitive rate with emergency call outs available 24/7 365 days of the year. Don’t wait around when your pipes get damaged! Ring the at blocked drain Manchester experts today and we’ll get you going. Blocked drain Manchester remember our last customer who had sewage repairs performed on her system. Jill couldn’t believe how fast we were able to find her blockage, and on closer inspection of the CCTV survey footage she had cracked pipes that needed repairing as soon as possible. We hastily repaired her pipes and were on her way. Be like Jill, don’t wait around for your cracked pipes to potentially damage the structural integrity of your house. Call us today and see what we can do for you! One of our friendly advisors will always be available to take your call.